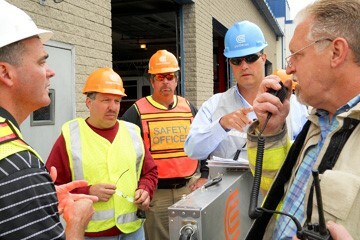 Dam operators and first responders perform an EAP simulation exercise to rehearse emergency procedures. 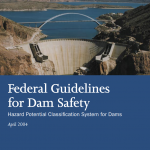 The National Dam Safety Program encourages the implementation of effective EAPs for high and significant hazard dams in the United States. Though the program has certainly enhanced the safety and regulation of dams, considerable opportunities for improvement remain. 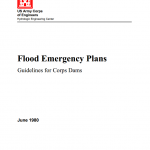 Increasing the number of dams with an EAP and encouraging dam owners, dam operators, and emergency personnel to regularly update and practice their EAP are important goals of the program. 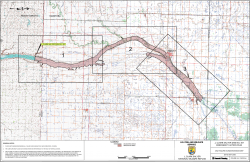 Although EAPs are drafted with the intention of minimizing downstream consequences, the document itself cannot save lives and protect property downstream. Simply possessing an EAP does not ensure that communities downstream will be protected in the event of dam failure. 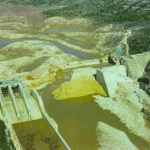 In order to increase the chance of averting disastrous consequences during dam failure, EAPs must be understood and routinely practiced by all those involved. First, copies of the EAP should be distributed by the dam owner to anyone involved in its implementation. 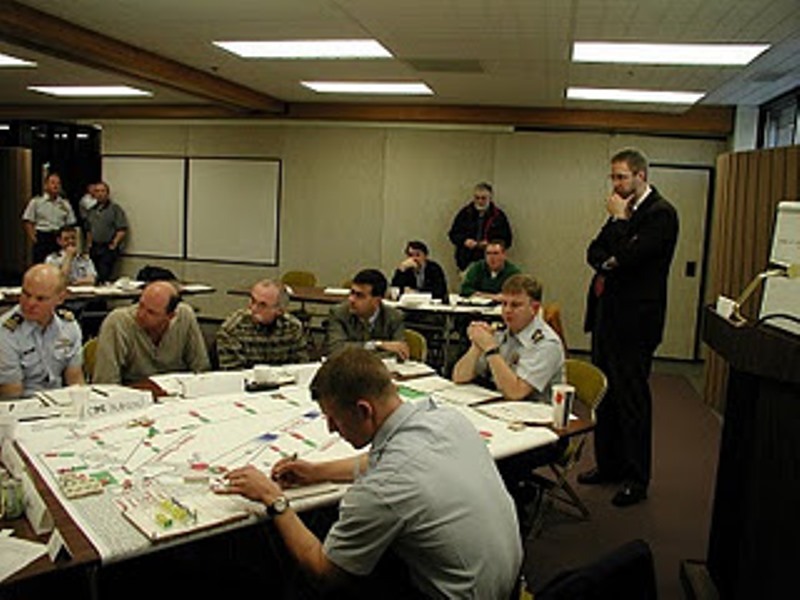 In order to present, simulate, and practice the information contained within the EAP document, orientation and emergency simulation exercises should be executed in the presence of dam operators and first responders. 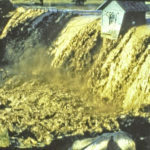 Thorough reviews of a dam’s EAP should be conducted at least once a year to determine if it will remain effective or if modifications are necessary. Updates to an EAP may include the results of changes in contact information, flood inundation maps, downstream development (hazard creep), or emergency procedures. 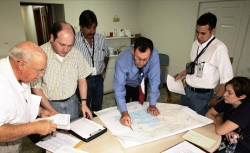 In the event that a portion of the EAP is altered, copies should be redistributed and routine practice resumed adhering to the newly revised plan. 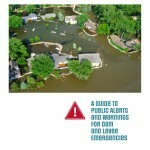 Effective Emergency Action Plans are those that are updated, understood, and practiced by all persons involved. 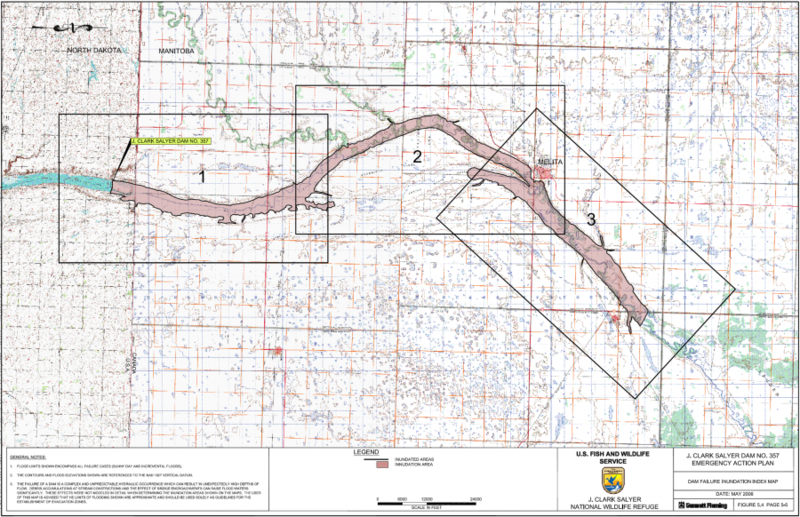 These EAPs harbor the potential to save lives and preserve property downstream of a dam in the event of failure. (1) FEMA. (2007). 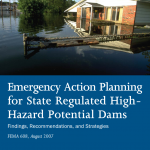 Emergency Action Planning for State Regulated High-Hazard Potential Dams: Findings, Recommendations, and Strategies. Federal Emergency Management Agency. (2) FEMA. (2013). 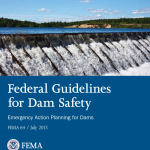 Federal Guidelines for Dam Safety: Emergency Action Planning for Dams. Federal Emergency Management Agency. (3) ASDSO. 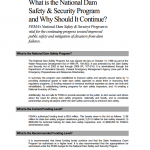 What is the National Dam Safety & Security Program and Why Should it Continue? 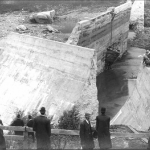 Lexington: Association of State Dam Safety Officials. (4) FEMA. (2006). 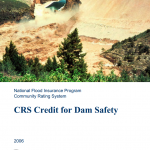 National Flood Insurance Program Community Rating System: CRS Credit for Dam Safety. Federal Emergency Management Agency. (5) FEMA. (2004). 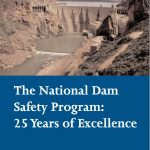 The National Dam Safety Program: 25 Years of Excellence. Federal Emergency Management Agency. Emergency Action Plan development meeting. 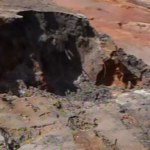 Attendees include dam safety officials, dam operators, and first responders. 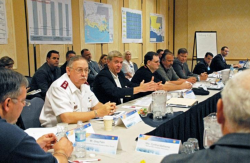 Tabletop Emergency Action Plan exercise during which emergency situations and appropriate responses are discussed. Functional Emergency Action Plan exercise. 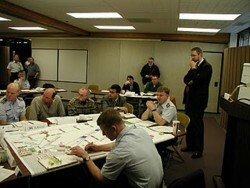 During a functional exercise, individual and group performance in response to a proposed emergency situation is evaluated and critiqued. 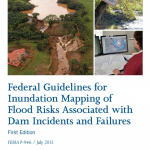 Maps containing projected flood areas resulting from a dam failure can provide a basis for decision making during EAP development and implementation. 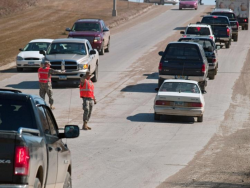 Emergency personnel executing evacuation. 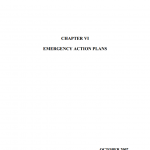 Although EAPs do not require that an evacuation plan be included, they must contain information on the authority responsible for implementing an evacuation if necessary. 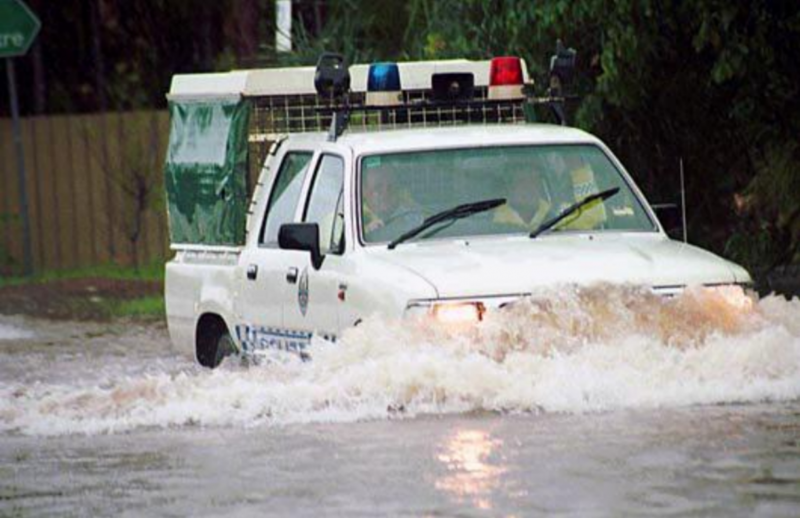 First responders react to flooding emergency. 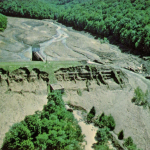 John W. France presents an introduction to emergency action plans (EAPs) as part of the Association of State Dam Safety Officials On-Demand Webinar series. 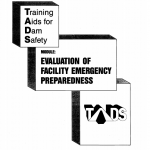 Video supplement to the Training Aids for Dam Safety publication on the proper procedures for developing and implementing an EAP. 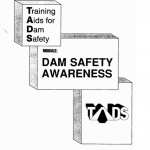 Video supplement to the Training Aids for Dam Safety publication on the responsibilities of dam owners and guidelines to ensure dam safety. 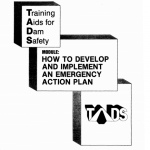 Overview of importance and development of EAPs for dams created by the Association of State Dam Safety Officials. 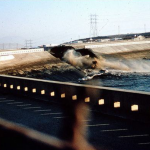 What is the National Dam Safety & Security Program and Why Should it Continue?